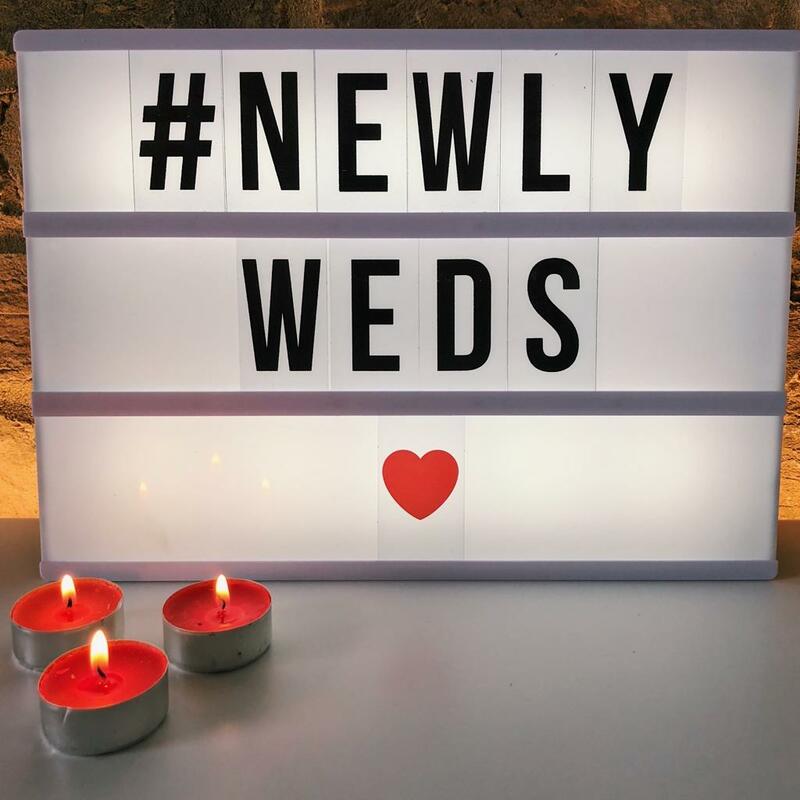 Wedding hashtags are a fun way to create excitement around your special day and develop a digital photo album of memories to look back on in years to come. Deciding on a unique hashtag can be difficult, which is why many couples opt to use online generators to help them out. However it can be an enjoyable element of wedding preparation that you can do yourself, for those with a more creative side. The use of puns creates particularly memorable one of a kind hashtags, such as #thenewlywoods and #happilyeveradams. The best part about it is that in a few clicks you can access a page full of your wedding memories, with contributions from anyone who tags it. After going to the effort of creating a personal wedding hashtag, you don’t want to be disappointed by the response to it. It is important to make it well known to friends and family so that you can all enjoy reliving the memories after. The first step to ensure effective use of the hashtag is to make it clear on wedding invites, and make it catchy and memorable so guests don’t forget it. People can then begin to use the hashtag in the celebrations leading up to the wedding, creating a buzz before the day begins. The more use your hashtag gets, the more memories you will have to look back on… and it will soon become a phrase your guests will never forget. There are countless ways of creatively displaying your hashtag on the wedding day, so guests have no choice but to be aware of it. These can be anything from chalkboards at the reception entrance to subtle ways such as stitching it on the inside of the grooms jacket. Having said this, wedding hashtags aren’t for everyone. 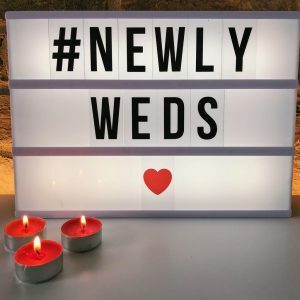 Many couples choose to make their wedding day ‘social media free’, encouraging guests to be fully involved in the celebrations with no external distractions. It is impossible to control what people post on the internet and there are elements of your wedding day you probably don’t want shared with the world. I’m sure we can all relate to the feeling of embarrassment when you see videos of a poor attempt at your favourite dance routine the next morning, and it is definitely not something you want everyone to witness again. Ultimately, wedding hashtags are a fun, creative feature that bring excitement to weddings… but is the idea of it a nicer thought than the reality?